Head of the narcotics unit of the Eastern Prefecture Dmitri Kabanov said it is the largest cannabis growing operation found in Virumaa in years. 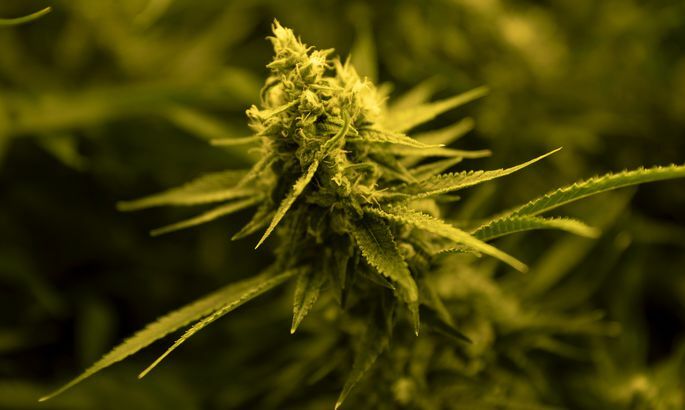 “The men were growing cannabis in a rural area of West Viru County, in an old industrial building the cellar of which had been refitted for the purpose. They had lighting and heat equipment there,” he said. The police refused to name the exact location of the cannabis farm. “Regretfully, I cannot be more specific. It is possible that further processing of the area is necessary,” said press representative for the police Leana Loide. The authorities did not say how they got wind of the operation. “It is a matter of police tactics. That is all I can say,” was Loide’s comment. During the search, officers confiscated around 500 cannabis plants in different stages of growth, roughly two kilograms of dried cannabis and nearly €10,000 in cash. The street value of the confiscated plants is estimated at around €200,000. Dmitri Kabanov said the investigators worked with the tax and customs board on the case. “The investigation is still in early stages and several circumstances need to be ascertained in greater detail. We cannot say whether the product was sold in Estonia or elsewhere at this time,” Kabanov added. Two men suspected of growing the plants were detained on Thursday, April 4. The prosecution moved for detention for two months which the court granted. The 32 and 33-year-old have not been punished in criminal procedure in the past. Viru district prosecutor Mari Luuk said she moved for the men’s arrest as the suspects would likely continue engaging in criminal activity otherwise. “Considering what the investigation had found, they had to be arrested,” Luuk said. Discovery and seizure of drug operations of this size sends a clear message to people trading in illegal substances: law enforcement is worth its salt,” prosecutor Luuk added. Cannabis is the most common drug in East Viru County. If in 2017, police confiscated a total of four kilograms of cannabis in the county, the figure had grown to eight and a half kilos by 2018. The police ask people with information on how drugs are being distributed to contact them.